It is our pleasure to announce that the Organizing and Scientific Committees have finished preparations for the 2018 MIT SCALE Latin America Conference to be hosted at MIT in Cambridge, Massachusetts, USA on April 15-16th, 2018. Aiming at providing a forum for sharing high-impact educational and research in logistics and supply chain management relevant to Latin America, we invite you to participate in this conference by submitting your research as an extended abstract through Easychair (https://easychair.o rg/conferences/?conf=2018scalelatam). Further details about the calls for extended abstracts for regular and student competition applications, registration, fees, committees and useful information to authors and speakers are available on the official Conference website (http://scale.mit.edu/ events/2018-mit-scale-latin-america-conference). We are delighted to announce that Prof. Yossi Sheffi, Director for the MIT Center for Transportation & Logistics and Dr. Edgar Blanco, Director of Network Planning & Design for Amazon Logistics will be the keynote speakers of the conference. 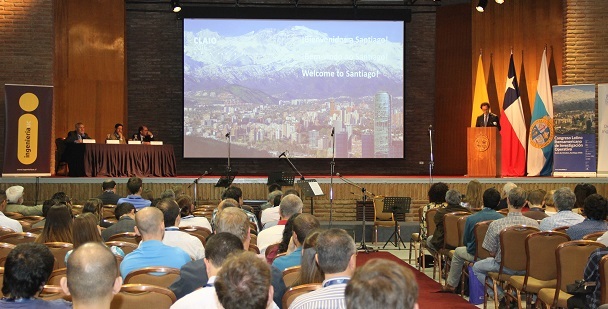 In addition, the conference will be a unique occasion to celebrate the 10th anniversary of the Center for Latin-American Logistics Innovation (CLI) and a great opportunity to join the Latin American research and practitioner communities together. Therefore, we are very much looking forward to seeing you all at MIT in April 2018!